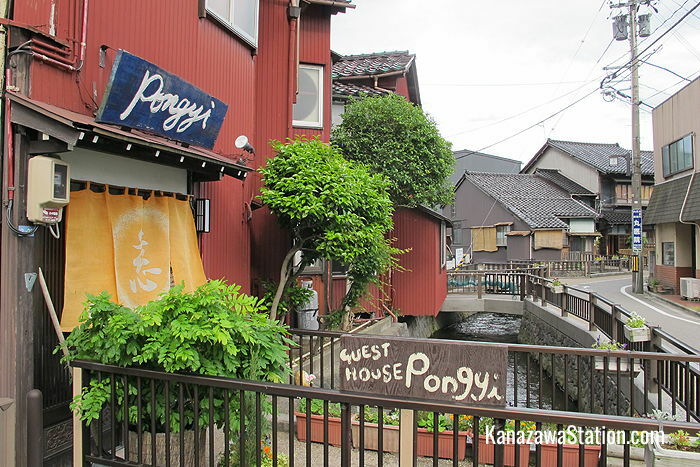 Pongyi was Kanazawa’s very first backpackers’ guesthouse and is still one of its best. 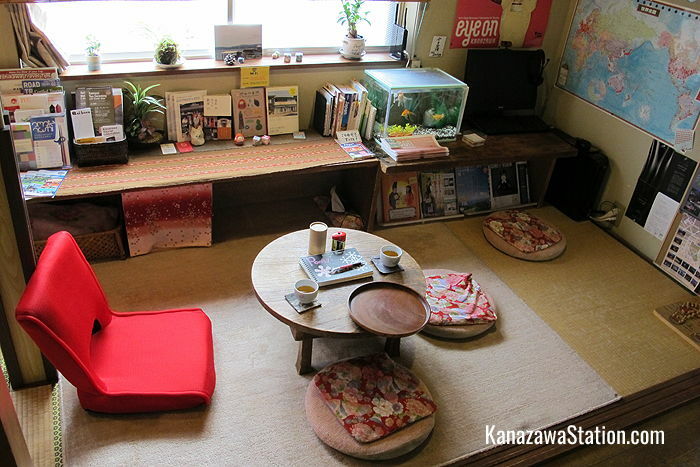 A short walk south from Kanazawa Station, this hostel is convenient, comfortable, and has a friendly, home-away-from-home atmosphere. 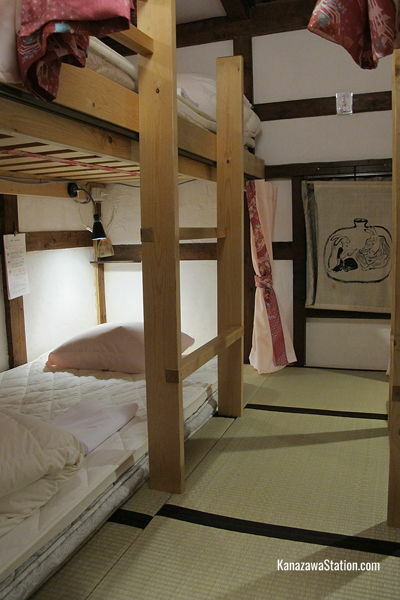 Converted from an old kimono shop, the 140 year old building is compact, but super clean, with space for 10 dormitory beds, a shared kitchen, toilet, shower and common room. The chatty owner, Masaki, speaks fluent English and Portuguese, and organizes in-house traditional activities and cooking parties. Pongyi means “monk” in the Burmese language, and was so named because Masaki had some experience as a monk in Myanmar. As a legacy of this experience, for each person who stays at the hostel 100 yen is donated to a charity that supports poor children in Asia. 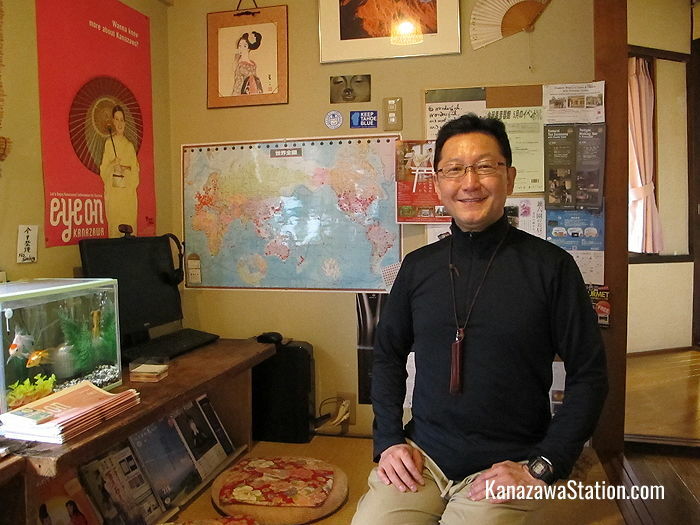 This is a great place to stay for short stay travelers looking for budget accommodation in Kanazawa. Pongyi has two dormitories and one private Japanese style room. There is a female dormitory with four bunk beds, and a mixed dormitory with four bunk beds. Each bunk bed is supplied with bedding sheets, a pillow, and comforter, and has its own bed curtain for privacy, a reading light, and electric socket. 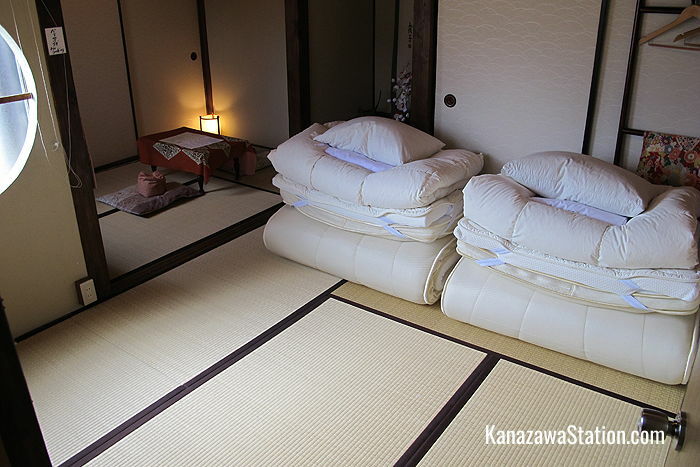 In the private Japanese room guests can sleep in futons on the tatami floor. This room has space for up to three people. The shower room and lavatory are shared by all the guests. The shower is supplied with shampoo, conditioner, body soap and a hair dryer but to rent a towel costs 100 yen. The front desk is open from 8.00 till 12.00 and from 3.00 till 9.00. There is no curfew but guests are asked to be quiet after 23.00. Free Wi-Fi is available throughout the building and there is a computer that guests can use in the common area. Security lockers are available for the guests’ possessions. Bicycles can be rented for 400 yen a day. 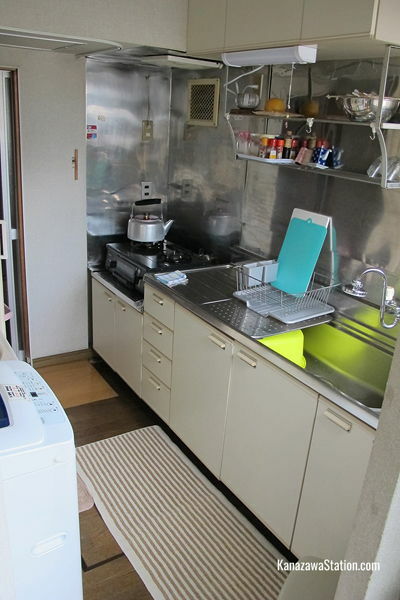 There is a shared kitchen with a cooker, microwave oven, and refrigerator. There is also a washing machine in this room which guests can use for 100 yen between the hours of 9.00 and 21.00. Laundry detergent costs 50 yen. A variety of cultural events and activities are hosted at Guesthouse Pongyi for the benefit of the guests. These include origami, calligraphy, or tea ceremony activities, or dinner parties where all the guests and staff cook and eat typical Japanese foods together. The staff at Pongyi can also advise you on special events, festivals, and performances that are happening in Kanazawa during your stay. 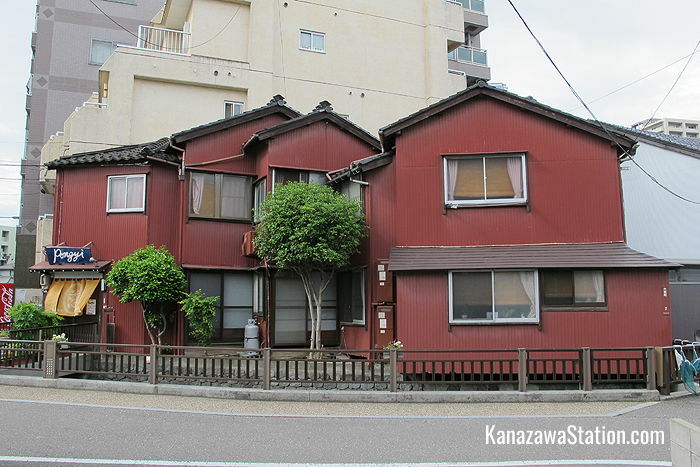 Guesthouse Pongyi is an 8 minute walk south of Kanazawa Station.